Unreal Software - Thread: Green Light for CS2D! News Green Light for CS2D! CS2D has been greenlit by Valve today! I'll check what's required to actually put the game on Steam. The current version (1.0.0.3) will NOT be put on Steam because I want to fix/improve some things first. A new version will be prepared for that. I might even add some Steam features there but I can't promise anything at this point. I don't know yet until when all this will happen but I'll keep you updated. Congratulations @ DC: & SQ: and everybody else, who made this possible! There is even more work to do right now. Yet another milestone to be added to 's timeline page! Can't wait to play CS2D on Steam. 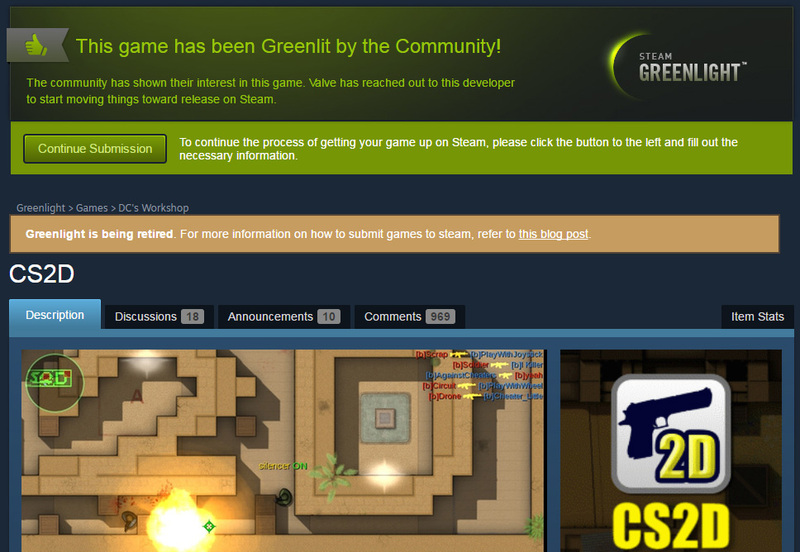 Wow, it will be one of the last games from Steam Greenlight, since now it is going to be replaced by Steam Direct.